Is the term ‘academic’ now empty in higher education? I have recently had my annual review. This is not the annual review we are all becoming familiar with as part of the performance management culture of higher education, but as part of my ‘probation’. Yes, you read that correctly, I am on probation. Approaching 20 years in academia to find, on taking this job, that I would be on probation felt, well, insulting. Obviously, it isn’t enough to meet the requirements of the job and so be employed by the institution. Neither is it enough to undertake an annual review of performance that asks all the same questions as my probationary review meeting. No, instead I have to be treated as if all my previous experience (which contributed to me being offered the post in the first place) was worthless. Many of the questions posed in the meeting continued in this negative vein. And I am using negative here as in the way much of my academic practice was negated, rendered negative or simply invisible. The academic networks I was embedded in prior to this job were construed as hindrances, and viewed as things that held me (back?) to my previous employment. The fact that one of those associations was a network I had initiated and had organised its first conference appeared to be irrelevant. I wondered whether the ethical/political focus of that network on migration and racism was just seen as unworthy of my current job specification. And then there was the inevitable question about research funding. They did inquire into what writing I was currently working on. I suppose this passes as an interest in what us academics are supposed to be engaged in – knowledge. But it is research grants that our institutions are most interested in. It is worth thinking about this carefully, and about the way valued research is equated with grant capture, that is how knowledge is reduced to money. If our value is measured less in terms of the quality of our teaching and the way we work with knowledge, and more in terms of grant capture, can we really say we are engaged in academic activity? Of course probation can work both ways. As I sat there it was the institution that was on probation. I have yet to write the report. I wasn’t going to write about this experience but was prompted by re-reading the blog post by Mark Carrigan on the ‘Accelerated Academy‘ and the article by Ros Gill referred to in Mark’s post. The piece below is the brother post to Laura Gogia’s “Becoming Pedagogy for Becoming People“. This relates to #TJC15 that I have written about before. Our blog posts are an extension of our participation in #TJC15 and an instantiation of open scholarship. We have published a Storify of a ‘twinterview‘ where we discussed ideas that are now found in extended form in these two blog posts. As part of our commitment to open scholarship we are sharing the various iterations of our thinking/writing, inviting responses and contributions from others. There will be further iterations over the coming weeks. In the piece below, in the spirit of the particular ethic of open scholarship that I articulate I present my writing in an unfinished form (there are now hyperlinks or references). This is version 2. Below you will see version 1. This version was written using Ommwriter, a tool for contemplative computing. The ethos of Ommwriter is that you focus on writing and so do not avail of the distractions of editing or spell checks. I use this for first drafts so that I can concentrate on the essential ideas rather than formatting. Twitter Journal Club arrived in front of me at a moment of opening. I was open to a reconfiguration of my practice, a revisioning, in almost every sense of that term. I was a year into my job, in a new institution, a new country, and a new field of practice. I had moved from a fairly well bounded field of sociology of education to the more porous field of academic practice (jackson). I had already shifted balance, perhaps even sought to be off-balance in making this move. I had moved from familiarity to deep unfamiliarity. I had moved from a sense of authority or certainty to being a novice. So a year in I was emerging from that steep learning curve you encounter on entering new terrain. Continuing with that metaphor I had navigated safely through this new topography and rather than seek refuge in the new known, I sought disruption, disorientation. I sought to pocket the map and replace it with a new way of travelling, a form of travel more akin to the Situationist dérive. Let me open up this moment of opening a little more. I arrived in my current post mid-year. Although I arrived eager to make teaching and learning the core of my interests (rather than the core of my activity though not the core of my knowledge or personal learning networks) I was faced with more immediate demands – to cope, to cope with an existing curriculum and syllabus, with a cohort of students who had gained familiarity with each other for a semester and had formed relationships with their tutors. I was washed up ashore and needed to make it habitable, for me. I made my mark here or there, but it was a time characterised by a sense of cognitive dissonance. Everything looked familiar – how many configurations of higher education classes can you have? But everything was strange, slightly off kilter. There was new literature to get to grips with, and concepts half understood had to be more fully grasped. While some of my habitual ways of thinking and doing traveled well, many had to be put aside, leaving me feeling exposed. I started a new academic year feeling that I ‘knew’ the course, I knew its contours, I knew it peaks and valleys, I knew where to ford the rivers, I knew which were the places that were less clearly defined and so should be approached with some caution. I was even able to start re-drawing the map, becoming a cartographer of learning myself. I felt empowered in being able to apply principles of academic practice that had long been constrained, of enacting modes of constructivist being. While the digital landscape was all around me and digital learning was in deed part of my remit, though one I was still to engage with, connectivism was not one of the lines drawn on the map, not a symbol, not a northing or easting. But it was there, in collegial conversations, hinted at when talking of open educational resources, of breaking out of the constraints of learning management systems. Even though I was already a fairly active blogger, both professionally and otherwise, and used twitter, the idea of these being platforms for a reimagined educational landscape was only slowly coming into view for me. One colleague nudged me in particular. I was challenged by her talk, by her practice, by her desire for more open educational practices. I felt resistance, resistance to the unfamiliar, to the challenging, to the not-quite-understood. While I was trying to put order on my anxiety, she was encouraging something that felt reckless. So, even though I was stimulated by the anarchic philosophy of Rânciere, and talked of enacting freedom and seeing what happens, my actual practice was somewhat different. And so I took a step from what I came to understand as striated to soft space (bayne) and engaging with forms of open education and scholarship that could be viewed as types of ‘nomadic science’ (D&G). My entanglement with this was multiple in that it spoke directly to my new role in academic development, but also to a broader critique of academia as dangerous space. Over years of working in the striated spaces of postgraduate programmes and professional doctorates I had come to see the limitations not of the striated spaces but of the weak structures and failure to utilise the capabilities offered by the LMS. Coming into this job I was able to introduce into my courses those elements I had often found lacking in my previous work. Specifically this took the form of maximising the LMS so that it became less of an archive and more of a hub. But it is clear now that what I was mostly maximising was its MANAGMENT aspect. Its pedagogic function was less clear to me. However, I did introduce many elements of the flipped classroom and ‘just-in-time’ teaching. Of course, I have come to see how this also works as an enframing device, of locking me and the participants into a closed system. My desire to provide clarity and clear signposting also had this mix of striation and softness, of clarity within enframement. Expectations, underlying pedagogies were all opened up to participants as central to my daily practice with them. This seemed more than appropriate given that we were focused on the development of teaching and learning in higher education. I tried to model the practices that were expected of them in the courses. If they had to keep a reflective journal then I did; if they had to talk openly about their signature pedagogies, then I did. So, in this regard my slow turn towards open pedagogies and connectivism was a continuation of a journey I was already on. I had also been involved in critiquing higher education as a particular kind of dangerous space. I had done this from an autoethnographic perspective in my ongoing ‘broken academic’ project (link). This involved linking wellbeing and the micro-aggressions of academic life to the broader political economy of higher education. But this also found form in another kind of journal club. And it is this particular experience that resonates so much with TJC. The space was that of a combined MA in Academic Practice and a loose cluster of colleagues interested in the scholarship of higher education. Some structure was provided through the development of a journal club activity whereby we focused on a particular journal article in our fortnightly sessions. Although I initially volunteered the readings it was how we engaged with this structure that brought it close to my growing commitment to open scholarship. We were engaged in this reading in a context of a highly charged gender politics of academic promotions. We read in the context of petitions, court cases, and demonstrations. Our reading took up these themes, allowing us to examine a range of debates about how the university and academic practice could be both critiqued and re-imagined. The boundary between scholarship and our daily lives as academics became seriously blurred, and blurred seriously. For me this was reflected in a renewed interest in using my professional blogs a spaces to rehearse ideas, to practice writing, and to speak out loud about thoughts and writings that were in progress, unfinished. This covered both reflections on what was going on in class (links) and those emerging from the critical space of the MA. TJC as involving an ethic of care. The modern university, certainly in the UK and Irish contexts, is being experienced by many as a dangerous space. I will say more on this in relation to the ethic of care. But one dominant characteristic is the growth of methods of management that seek to align the personal CV of the academic to institutional objectives. We live and work in an age of the ‘managed CV’ or the ‘accelerated academy’ (links). These practices work to alter our own practices and relate to how we perceive ourselves as academics. TJC was interesting for me because it positively challenged both my inherited academic identity and the strictures of the ‘managed CV’. The experience has tested my technical capabilities in relation to managing the various tools required to engage in this particular digitally mediated interaction. I had to move quickly from being mostly a consumer to being a producer in the twitterscape. You become entangled in the algorithms in a way that demands an intensity of thought, quite contrary to the ‘slow thought’ that I have sought to cultivate and value highly (link slow university). The content of the articles also demanded an acceleration of cognitive shift, to become familiar with a new terrain of connectivist discourse and digital pedagogies. I might have been operating from within an LMS but I was still an analogue academic. I would leave the TJC sessions simultaneously exhilarated and exhausted. I came to reflect on how this experience differed from much of my day to day practice, and the feelings that this produced. The idea that a core feature of academic practice is the free exchange of knowledge, and that this is structured through academic journals and conferences sat uneasily beside the exhilaration of TJC. The unease did not come just from the contrast of intensities. Firstly, It came from recognition that in this particular experiment there was a quality of exchange and interaction that was largely absent from my own experience of traditional modes of academic exchange. Academic knowledge is locked behind a series of pay walls – journal subscriptions and conference fees in particular. The MA reading group discussed often the way the outputs of our endeavours were being commodified and knowledge privatised. We discussed the attacks on the very idea of academics as involved in eh production of public goods. The structures of academic progression demand that we collude with this privatisation of knowledge and locking it behind various pay walls. Indeed, many if not most academics see this as unproblematic. Secondly, the idea that what actually happens in academic journals and conferences is a free exchange of knowledge feels näive. Journals and conferences are substantively hierarchical spaces. Indeed, academic promotion is premised upon this hierarchy. We are counselled to publish in high impact journals, regardless of the quality or innovativeness of what we actually write. The assumption of course is that high impact journals equate with high quality scholarship. But the algorithms for measuring ‘impact’ (ref) do not assess quality of outputs and are mechanisms that increasingly tie the practice of academic endeavour to the commercial interests of academic publishers. Again this links back to the privatisation of knowledge. Thirdly, academic publishing through the closed spaces of pay-per-view journals disguises the process of writing and working with ideas; it disguises the collective and collaborative nature of the academic enterprise. Writing is messy. Thoughts are usually emergent, being worked out in the moment. Academic publishing demands polished, non-messy, products. They are non-emergent. Even when articles have multiple authors there is a sense that the ideas contained within the bounded space of the article ‘belong’ somehow to the authors. This ‘belonging’, this notion of ownership of ideas is of course what gives legitimacy to academic promotion. You have appropriated the collective endeavour of many scholars, of participants in research, and privatised it, made it yours, and so added it to your CV, which you submit to the promotion panel. TJC, despite its many limitations, for me, works against this culture of closure and privatisation. Accepting that no platform is ever fully inclusive, the use of this particular platform to engage in academic discussion breaks free of the institutionally defined spaces for academic exchange. There is inevitably a pay wall involved. You have to have access to the essential infrastructure – internet connection and a device for connecting to the platform and accessing the articles. But these are much more ubiquitous than the closed systems of universities, academic journals and academic conferences. The principle of using open access articles (whether pre or post published) is important in affording more people the capacity to participate. Using a digital platform means that the restrictions on international collaboration are, in principle, ameliorated, so long as attention is given to different time zones. Activities such as TJC bear many of the hallmarks of Wabisabi, the Japanese aesthetic that celebrates incompleteness, amongst other qualities. The nature of the platform itself necessitates messiness, incompletness, disjuncture and non-continuous interaction. In this sense it also resembles the Situationist dérive and so can be thought of as a way of moving through a particular academic terrain (defined initially by the article of choice) but without a definite end point in mind. Following the idea of the dérive or psychogeography this is not without purpose, just that the purpose is emergent in the activity itself, and is likely to come out of specific interactions. It is marked by the way each of us would zone in on initial comments or questions posed by other participants, following up on those threads of discussion. The initial attraction might reflect a current interest or indeed might be recognised as something one had not thought of and so worth exploring. Each of us would then construct a representation of the event defined not by external criteria but by the impulses of attraction or repulsion. I would follow perhaps a number of threads but eventually concentrate on one or at most two. As has been seen in other events of this type, and I am thinking of various connectivist projects such as MOOCMOC and #rhizome, the interactions take on lives of their own outside of the specific frame the initial event. Indeed, this article is an example of just that. Again, this runs counter to the instrumental character of policy and institutional discourse on academic productivity and careers. In spaces such as this it is the connections and the working out of ideas, it is the emergent quality of academic practice that is foregrounded. This is enhanced by the way participants have chosen not to interrogate the articles as such but use them as springboards to reflect back on their own practices. There are interesting processes of feeding back on existing practice and feeding forward, of contemplation of new practices. This relates to the third element, that of the way some TJC practices carry aspects of hacker culture. TJC discussions spring up in a wide network of places and spaces. Although Laura produces a storify after each event this is then available for anyone, TJC participant or not, to hack, to produce derivatives. Derivatives appear in peoples’ blogs or resurface in discussions in other connectivist spaces. This hacker commitment to re-use emphasises the collaborative nature of any endeavour. It is a different way of conceiving of the free exchange of knowledge that maintains a ‘public good’ aspect. While academics can become obsessed with plagiarism (in our students but also in relation to colleagues), TJC picks up on the growing interest in open data or experiments in collaborative education (lincoln ). It is non-proprietorial. For me, TJC has felt like a ‘wild’ space escaping many of the closed systems that characterises and structures academic practice. In discussion with Laura I likened it to a ‘potluck’ meal rather than a three-course dinner. Although we had an entrée, the meaning of the event was given by what each of us brought to the table. Perhaps, building on the open access and hacker analogies, we can think of experiments such as TJC as forms of academic ‘maker spaces’. Personal circumstances (link) have made me particularly attuned to the many micro-aggressions we experience in academia. It would be nice to apportion blame to the rise of various neo-liberal forms of management and performative culture. But, as Kathleen Lynch has so rightly noted, higher education is almost endemically ‘careless’. In her discussion of this Kathleen Lynch points to the way the academic self is fashioned on a primary distinction between mind and body, a distinction that has historically privileged the male. Of course, this cascades out along a chain of other binaries such as public/private, assertive/passive, hard/soft science. By fetishising the the cognitive this model of academic identity and practice and its cross-referencing to gender means that women, in particular, have been poorly served by higher education. Some have sought to re-imagine higher education in ways that place care as central to the academic project and specifically as a public service (refs). What this actually means in the micro-practices of individuals is still a little uncertain. I would argue that there are aspects of my experience of TJC that rehearse an ethic of care. In some ways the actual articles that form the initial point of contact are almost irrelevant, other than acting to signal the boundary of an affinity group. Thinking back on the idea of the ‘potluck’ and dérive, it is the specific character of connecting (what attracts and repels us in the different threads), the capacity of the article to support a feeding back on practice and feeding forward to imagining new practices that is important. It is the emergent character of the activity the practices we undertake while engaged in TJC perhaps makes it more amenable to caring practice. Some of us have built up a certain amount of care and affection for each other over time and regular interaction in this and other spaces. But it is important to note that affection is not a necessary requirement. This is another example of how TJC resembles certain hacker practices. We are linked by a mutual interest in this project. We may or may not go on to work on other projects. It is the project and our interest in it that will determine the longevity of our commitment. Of course, proprietary practices are possible in such spaces. The hacker ethic simply dictates that if that happens, and if people don’t like it, then people go off and form other projects. Unlike the institutionally bounded spaces there is no requirement to keep TJC going. Anybody who has been involved in conference organising committees or editorial boards know how keeping the structure going all too easily becomes the underlying rationale. When that happens then care also dissipates. When participation in a project becomes a positional good in an academic market I believe care is undermined. I will deal with these in further iterations. Twitter Journal Club arrived in front of me at a moment of opening. I was open to a reconfiguration of my practice, a revisioning, in almost every sense of that term. I was a year into my job, in a new institution, a new country, and a new field of practice. I had moved from a fairly well bounded filed of sociaology of education to the more porous field of academic practice (jackson). I had already shifted balance, perhaps even sought to be off-balance in making this move. I had moved from familiratiy to deep unfamiliratity. I had moved from a sense of authority or certainty to being a novice (who had to act authoriorial). So a year in I was emerging from that steep learning curve you encounter on entering new terrain. Continuing with that metphor I had navigated safely through this new topography abd, rather than seek refuge in the new known, I sought disruption, disorientation. I sought to pocket the map and replace it with a new way of travelling, a fomr of travel more akin to the situationist derive . I arrived in y current post mid-semester. although i arrived eager to make teaching adn learning the core of my interests (rather than the core of my activity though not th ecore of th eknowledge networks) i was faced with more immediate demands – to cope, to cope with an existing curriculum and syllabus, with a cohort of students who had gained familirarity with each other for a semester already and had formed relationships with their tutors. I was washed up ashore and needed to make it habitable, for me. I made my mark here or there, but it was a time characterised by a sense of cognitive dissonance. Everything looked familiar – how many configurations of higher educatin classes can you have. But everything was strange, slightly off kilter. There was new literature to get to grips with, concepts half understood had to be more fully grasped. While some of my habitual ways of thinking and doing traveled well, many had to be put aside, leaving feeling exposed. I started the new academic year feeling that I ‘knew’ the course, I knew its contours, I knew it peaks and valleys, I knew wher to ford the rivers, I knew which were the places that were less clearly defined and so should be aproached with some caution. I was even able to start re-drawing the map, becoming a cartogrpher of learning myself. I felt empowered in being able to apply principles of academic practice that had long been constrained, of enacting modes of constructivist being. I fashioned forms of formative fedback, content as heuristics, drew out blackboard????? I could have stayed in that place. The ill-defined zones were now more granular in their…. While the digital loandcape was all around me and digital learning was in deed part of my remit, though one I was still to engage with, connectivism was not on eof the lines drawn on teh map, not a sumbol, not a northing or easting. But it ws there, in collegial conversations, hinted at when talkin gof ‘open educational resources’, of breaking out of the constraints of learning management systems. Even though I was already a fairly active blogger, both professionally and otherwise, and used twitter, the idea of thes being platforms for a reimagined educational landscape was only slowly coming into view for me. I was nudged by one colleague in particular. I was challenged by her talk, by her practice, by her desire for more open educational practices. I felt resistance, resistance to the unfamlirar, to the challenging to the not-quite-understood. While I was trying to put order on my anxiety, she was encouraging a somethig that felt reckless. So, even though I was stimulated by the anarchic philosophy of RAnciere, and talked of enacting fredom ‘and seeing what happens’, my actually practice was somewhat different. And so I took a step from what I came to understand as a striated space to soft space (bayne) and enaging with forms of open education and scholarship that could be viewed as types of ‘nomadic science’ (D&G). My entanglement with this was multiple in that it spoke directly to my new role in academic development, but also to a broader critique of academia as dangerous space. Over years of working in the striated spaces of postgraduate programmes and professionaldoctorates I had come to see th eliitations not of the striated spaces but of the weak structures and failure to utilise the capabitilites of offered by the LMS. Coming into this job I was able to introduce into my courses those elements I had often found lacking in my previous work. Specifically this took the form of maximising the LMS so that it became more than an archive and more of a hub. But it is clear now that what I was mostly maximising was its MANAGMENT aspect. Its pedagogic function was less clear to me. However, I did intorduce many elements of the flipped classroom and ‘just-in-time’ teaching. Of course, I have come to see how this also works as an enframing device, of locking me and the participants into a closed system. My desire to provide clarity and clear signposting also had this mix of striation and softness, of clarity within enframement. Expectations, underlhying pedagogies were all opened up to participants as central to my daily practice with them. This seemed more than appropriate given that we were focused on the development of teaching and learning in higher education. I tried to model the practices that were expected of them in the courses. If they had to keep a refelctive journal then I did; if they had to talk openly about their signiture pedagogies, then I did. So, in this regard my slow turn towards open pedagogies and connectivism was a continuation of a ourney I was already on. I had also been involved in critiquing higher education as a particular kind of dangerous space. I had done this from an autoethnographic perspective in my ongoing ’broken academic’ project (link). This involved linking wellbeing and the micro-agressions of academic life to the broader political economy of higher education. But this also found form in another kind og journal club. And it is this particular expereince that resonates so much with TJC. The space was that of a combined MA in Academic Practice and a loose cluster of colleagues interested in the scholarship of higher education. Some structure was provided through the development of a ‘journal club’ activity whereby we focused on a particular journal article. Although I initially volunteered the readings it was how we engaged with this structure that brought it close to my growing commitment to form sof open scholarlship. We were engaged in this ‘reading’ in a context of a highly charged gender politics of academic prmotions. Our reading took up these themes, allowing us to examine a range of debates about how the university and academic practice could be both critiqued and re-imagined. The boundary between scholarship and our daily lives as academics became seriously blurred. 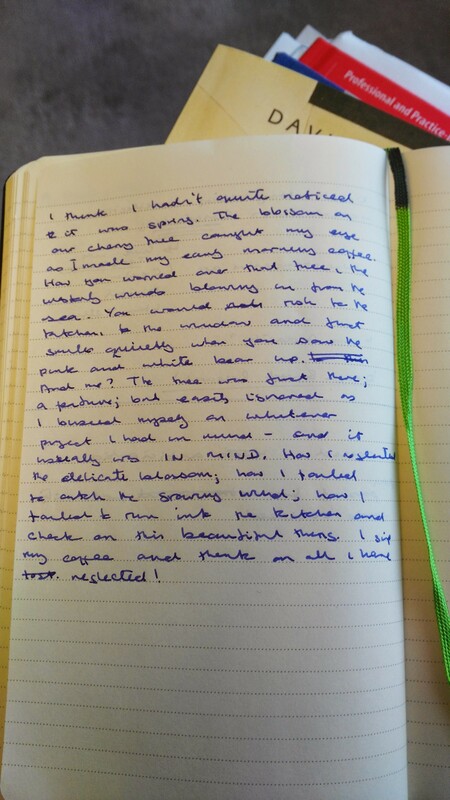 For me this was reflected in a renewed interst in using my professional blogs a spaces to rehearse ideas, to practice writing, and to speak out loud about thoughts and writings that were ‘in progress’, unfinished. This covered both refelctions on what was going on in class (links) and those emerging from the critical space of the MA. The modern university, certainly in the UK and Irish contexts, is being expereincedby many as adangerous space. I was will say more on this in realtion to the ethic of care. But one dominant characteristic is the growth of methods of managment that seek to align the personal CV of the academic to instituional objectives. We liveand work in an age of the ‘managed CV’ or the ‘accelerated acdemy’. These practices work to alter our own practices and relate to how we perceive ourselves as acadmics. TJC was interesting for me because of how it positively challenged both my inherited academic identity and the strictures of the ‘managed CV’. The expereince has tested my technical capabilities in relation to managing the various tools required to enage in this particular digitially mediated interaction. I had to move quickly from being mostly a consumer to being a producer in the twitterscape. You become entangled in teh algorithms in a way that demands an intensity of thought, quite contrary to the ‘slow thought’ that I have sought to cultivate and value highly. The content of the articles also demanded an execleration of cognitive shift, to become familiar with a new terrain of connectivist discourse and digital pedagogies. I might have been operating from within an LMS but I was still an analogue academic. I would leave the TJC sessions simulataneously exhilerated and exhausted. They were physically exhausting. I came to reflect on how this expereince differed from much of my day to day practice, and the feelings that this produced. The idea that a core feature of academic practice is the free exchange of knowledge, and that this is structured through academic journals and conferences sat uneasily beside exhileration of TJC. The unease did not come just from teh contrast of intensities. Firstly, It came from a recognition that in this particular epxeriement there was a degree of exahcnage and interaction that was largely absent from my wn expereince of traditional modes of academic exchange. Academic knowledge is locked behiond a series of paywalls – journal subscriptions and conference fees in particular. The MA reading group discussed often the way the outputs of our endeavours were increasingly being commodified and knowledge privatised. We discussed the attacks on the very idea of acadcmis as involved in eh production of public goods. Teh structures of academic progression demand that we colude with this privatisation of knowledge and locking it behind various pay walls. Indeed, many if not most academics see this as unproblematic. Secondly it the idea that what actually happens in academic journals and conferences is a free exchange of knowledge feels naive. Journals and conferences are substantially hierachical spaces. Indeed, academic promotionn is premised upon this hierarchy. We are counselled to publish in high impact journals, regardless of the quality or inovativeness of qhat we actually write. The assumption of course is that high impact journals equates with high quality scholarship. but the algorithms for measuring ‘impact’ do not assess quality of outputs and are mechanisms that increasingly tie the prctice of academic endeavour to the commercial interests of academic publishers. Again, this links back to the privatisation of knolwedge. Academic conferences…Thirdly, acadmic publishing through the closed sapces of pay-per-view journals disguises the process of writing and working with ideas; it disguises the collective and collaborative nature of the academic enterprise. Writing is messy. Thoughts are usually emergent, being worked out in the moment. Academic publishing demands polished, nojn-messy, products. They are nn-emergent. Even when articles have multiple authors there is a sense that the ideas contained with in the bounded space of the article ‘belong’ somehow to the authros. this ‘belonging’, this notion of ownership of ideas is of course what gives legitimacy to academic promotion. You have appropriated the collective endeavour of many scholars, of participants in research, and privatised it, made it yours, and so added it to your CV which you submit to the promotion panel. TJC, despire its many limitations, for me, works against this culture of closure and privatisation. Accepting that no platform is is ever fully inclusive, the use of this particular platform to enage in academic discussion breaks free of the institutionally defined spaces for academic exchange. There is inevitably a pay wall involved. You ahve to have access to teh basic essential infrastructure – internet connection and a device for connectign to th eplatform and accessing the articles. But these are much more ubiquitous than the closed systems of universities, academic journals and academic conferences. The principle of using open access articles (whether pre or post published) is important in affording more people the capacity to particpate. Using a digital platform means that the restrictions oninternational collaboration are, in principle, ameliorated, so long as attention is given to different time zones. Activities such as TJC bear many of the hallmarks of Wabisabi, the Japanese aesthetic that celebrates incompleteness, amongst other qualities. The nature of the platform itself necessitates messiness, incompletness, disjuncrure and non-continuous interation. In this sense it also resembles the situatinist derive an dso can be thought of as a way of moving through a particular academic terrain (defined intially by the article of choice) but without a definite end point in mind. Following teh idea of the derive or psychogeography this is not without purpose, just that the purpose is emegent in the activity itself, and is likely to com eout of specific interactions. It is marked by the way each of us would zone in on initial comments or questions posed by other participants, following up on those threads of discussion. The initial attraction might reflect a current interest or indeed might be recognised as something on ehad not thought of and so worth exploring. Each of us woul dthen construct a represetnation of the event defined not by external criteria but by the impulses of attraction (and opposite?). I would follow perhaps a number of threads but eventually concetrate on one or at most two. As has been seen in other events of this type, and i am thinking of various connectivist projects such as MOOCMOC and rhizome, the interactions take on lives of their own outside of thespecific frame wothe initial event. Indeed, this article is an example of just that. Again, this runs counter to the instrumental character of policy and institutional discourse on academic peoductivity and careers. In sapces such as this it is the connections and the workingout of ideas, it is the emergent quality of academic practice that is foregrounded. this is enahnced by the way particpants have chosen not to iterrogate the articles as such but use them as springboards to reflect back on their own practices. There are interesting processes of feeding back on existing practice and feeding forward, of contemplation sof new practices. This relates to the thrid element, that of the way some TJC practices carry aspects of hacker culture. TJC discussions spring up in a wide network of places and spaces. Although Laura produces a storify after each event this is then availabe for anyone, TJC participant or not, to hack, to produce derivatives. Derivatives appear in people’s blogs or resurface in discussions in other connectivist spaces. this hacker commitment to re-use emphaises the collaborative nature of any endeavour. It is a different way of conceiving of the free exchange of knowledge that maintains a ‘public’ aspect. While acaddmics can become obsessed with plagiarism (in our students but also in relation to coleagues) , TJC ick sup on the growing interst in open data or experiments in collaborative education (lincoln ). It is non-propriatorial. For me, TJC has felt ‘wild’, escaping many of the closed systems that charactersies and strucures academic practice. In discussion with Laura I likened it to a ‘potluck’ meal rather than a three course dinner. Although we had an entre, the meaning of the event was given by what each of us brought to the table. Perhaps, building on the open access and hacker analogies, we can think of experiments such as TJC as form sof academic ‘maker spaces’. Personal circumstances (link) have made me particularly attuned to the many micro-aggressions we expereince in academia. It would be nice to apportion blame to the rise of various neo-liberal fomrs of managment and performative culture. But, as Katheen Lynch has so rightly noted, higher education is almost endemically ‘careless’. In her discussion of this Kathleen Lynch points to the way the academic self is fashioned on a priary distinction between mind and body. of course, thiscascades out along a chain of toher binaries such as public/private, assertive/passive, hard/soft science. By festishing the teh cognitive this model of academic identity and practice and its cross-referencing to gender means that women, in particular, have been poorly served by higher education. Some have sought to re-imagine higher education in ways that place care as cenral to the academi cproject and specifically as a public service (refs). What this actually measn in the micro-practices of individuals is still a little uncertain. I would argue that there are aspects of my expereince of TJC that rehearse an ethic of care. In some ways the actual articles that form the initial poit of contact are almost irrelevant, other than acting to signal the boundary of an affinity group. Thinking back on the idea of the ‘potluck’ and derive, it is the specifica caharecter of connecting (what attracts and repels us in the different threads), the capacity of the article to support a feeding back on practice and feeding forward to imagining new practices that is important. It is the emergent character of teh activity the practices we undertake whlle engaged in TJC perhaps makes it more amenable to caring practice. Some of us have built up a certain amount of care and affection for each other over time and regualr interation in this an dother spaces. But it is important to note that affection is not a neccesary requirement. This is another example of how TJC resembes certain hacker practices. We are linked by a mutual interest in this project. We may or may not go on to work on other projects. It is the project and our interest in it that will determine the longevity of our commitment. Of course, proprietary practices are possible in such spaces. The hacker ethic simply dictates that if that happens, and if people don’t like it, then people go off an dform other projects. Unlike th einstituionaly bounded spaces there is no requirement to keep TJC going. Anybody who has been invlved in conference rganising committees or editorial boards know how keeping the structure going all too easily becomes the underlyhing rationale. When that hapens then care also dissipates. When participation in a project becomes a positional good in an academic market I believe care is undermined. The image above is that of Julius Axelrod who, with Bernard Brodie, is seen as establishing paracetamol as a leading painkiller. So, why Axelrod, why paracetamol? A previous post introduced the idea of me using this blog to develop and rehearse my thinking leading to an academic article (hopefully), inspired by my observation of a pharmacology laboratory practical class. The focus of this class was a test of the toxicity of paracetamol solutions. This has a very practical rationale because paracetamol poisoning is so common, hence the importance of those dispensing the drug having a proper understanding of its adverse effects. As I observed the students engaging in the ‘paracetamol array’ I was taken by the performative character of the activity. The activity was ‘staged’ in the sense of being performed in a particular setting that gave the activity certain meaning. Imagine this cluster of young people dressed in white lab coats conducting this test in the student bar? In being wrenched from the lab its ‘meaning’ would change, there would be an ‘out-of-placeness’ about it; the authority and legitimacy of the activity as SCIENCE would be in question. WHERE the array was conducted was important. There was a distinct patterning to the movement of the students between paper, apparatus, chemical compound, and back to paper; or between the pairs of students working together (?) at their bench. This notion of performance is important here as a key concept in posthuman understandings of science, indeed of helping me understand the activity as science. So, in what sense might we say these students were engaged in science? Let me begin with a very brief description of the setting (though I will give more detail of the activity later). with approximately 50 students wearing white lab coats. It had all the semiotic clues that would lead most observers to conclude that what was going on in this space was science. The benches and the other non-human artefacts – measuring instruments and machines, as well as water and various chemicals function both as ‘tools’ that enable the practices of scientific endeavour (and science education in this case) but also as ‘signs’, signaling a particular meaning to the practices undertaken in this space. Through a series of studies Andrew Pickering deconstructs the cultural motifs of scientific work and demonstrates the folding together of human and non-human activity, and in going beyond ‘science-as-knowledge’ he argues that this takes us to an understanding of science-as-performance. This performative understanding of science turns many common-sense notions on their head. Such notions can lead us to perceive the world as one where ‘facts’ and ‘events’ are there to be found and observed respectively. Instead, Andrew Pickering conjures up a world of agency – human and non-human. He uses the example of the weather to illustrate this. Weather acts upon us without us willing it. Our response to weather is not purely cognitive, but requires non-human materiality in the form of clothes and shelter. But clothes and shelter have to be understood as not simply extensions of human thought and action, as things that emanate from a human origin (usually understood as cognition). While cognition plays a part, our responses cannot be reduced to the purely human realm. Also, the non-human material world does not act simply as ‘tools’ (as things to keep us safe from the weather). The constituent elements that make up clothes and shelter will continue to ‘do things’ – that is have effects regardless of human action. It is not the clothes and shelter that have material agency, but the physical and chemical properties of their constituent elements. However, conjoined with human action and thought they may have particular effects, which then impact upon human action and thought – human behaviour and thought changing as a consequence of new capabilities afforded by clothing and shelter. It seems common-sense but for the fact that this understanding often appears missing in everyday language – including academic and scientific. The students were required to conduct a colorimetric assay of a paracetamol solution in order to determine the therapeutic/toxic concentration. Preparation of a series of paracetamol solutions (some with known concentrations and some ‘unknown’) for comparative purposes involving processes of measuring (weighing and liquid measures), use of various apparatus (pipettes, including eppendorf pipettes, flasks, vortex machine for mixing, spectrophotometer), and a number of chemical compounds (water, sodium nitrate, sodium hydroxide). Based on the reading from the spectrophotometer the students then had to construct a standard curve (based on Beer’s Law) and determine the concentration of paracetamol in the samples of ‘unknown’ toxicity. Pickering’s discussion focuses on the relationship between scientific thought, practice and the apparatus (or machines) in the particular examples he investigates. Scientific ‘machines’ work to inscribe material (non-human) agency. He explores how in practice the development of scientific knowledge and practice operates like a ‘dance of agency’ between human and non-human with machines mediating this. It is within this dance of agency that something called learning occurs. We can perhaps view this as patterned activity in the sense of a grammar of practice where this grammar does not provide us with the specifics of each articulation. While there will be a grammar to the students’ practice in the lab, we cannot know in advance what the particular articulations of learning will be in the interaction of human/non-human. In this regard, learning objectives simply outline the teacher’s (or scientist’s) intentions, but in the end learning will be emergent often relating to specific tasks and problems; learning cannot be predicted other than in the doing of the array. Learning is an accomplished activity rather than a simple acquisition of external knowledge or cognitive activity. Learning is something that occurs in the completeness of the doing, and embodied and situated accomplishment (this will be explored in a further post). Temporal emergence, then, might be seen as relating the students’ emergent learning outcomes (ELOs). These ELOs might develop in real-time (hence the emphasis on ‘temporal’) shifting from a concentration on the knowledge domain, to the need to align their partner to the task-in-hand, to just ‘getting through the day’, to recognition of a psychological resistance to some element of the course. As part of the temporal emergence of their learning the student might usefully be seen struggling with aligning themselves to the task-in-hand, of applying the necessary protocols (following the instructions for measuring and mixing) for the array and their conceptual understanding (of chemical processes and their practical application). There could be an iterative relationship between the grasp of the process and their conceptual understanding. This would mostly likely be more visible or pronounced when something didn’t work (requiring a process of reverse engineering to see what happened). I will come back to this idea of the way the materiality of the lab and the practical actions of lab-work ‘carry’ knowledge and understanding in another post. Here, I have tried to relay my current understanding of a complex interpretation of scientific practice through a posthuman lens and its possible application to higher education learning. Further posts in this series will explore the materiality of lab-work and how this ‘carries’ learning; the organised nature of learning as a social activity of alignment. In the writing of these posts I am struggling with ideas that take me beyond my habitual zones of practice. By the time I write another iteration of this it is likely that I will have altered some of my understandings. It should go without saying that any comments and suggestions from readers would be vital in this process. I have just listened to Derek Jarman‘s “Blue” on BBC Radio. Of course I saw the original film and have the book, though I never got to visit his garden (pictured above). “Blue” is a touching and poetic account of his struggles with HIV/AIDS which was eventually to take his corporeal life, though his life-force lives on in his work, the love he bestowed on humanity, in the continued fight for equality and social justice. It made me reflect on what the purpose of higher education is (as I have done before). As the university seeks to optimise all our efforts towards institutional advancement but with apparently little regard for knowledge or wisdom, it is worth stepping back and reflecting. Listening to this version of Derek Jarman’s prose-poetry acted to sustain such thought. In the prose-poem he refers to the Memorial Quilt stitched together to commemorate many of those who died of HIV/AIDS. It made me think of friends who, like Derek, sat in waiting rooms, received medication, were subjected to abuse, but whose humanity was as startling in their dying as it was in their living. How this contrasts with the lifelessness of modern academia and academic management in particular. How lacking in humanity is this metric driven edifice. Maybe I would be better off visiting Derek’s garden so that I can be witness to some true humanity and wisdom! I had meant to take a break from #rhizo15 but instead found myself taking a coffee break that brought me right back. Over coffee, at the end of a year’s teaching (my first full academic year in the job), myself and a colleague got to reflecting on how the year had gone and how we might develop things next year. In the back of my mind was the article by @sbayne that I think was put out there by@NomadWarMachine (not @davecormier) and the task he proposed for #rhizo15 this week. How do we design our own or others learning when we don’t know where we are going? How does that free us up? What can we get done with subjectives that can’t be done with objectives? or a working out of ideas partly inspired by Sian’s article. During the coffee chat it became clear that while happy with the main course I oversee (for me still new, to my colleague now possible tired), having made various changes to emphasise the challenges I wanted participants to engage with rather than just go through content (the content instead working as a vehicle for engaging with concepts and problems), I felt a desire to push explore the possibility of creating more open/connected/distributed forms of learning. My recent engagement with digital scholarship and #connectedlearning has propelled me to consider other options, and to think about how I might hack my own course, hybridise it. think of resources rather than content: while remaining with the striated texture of the current course (a pre-defined syllabus and form of assessment) how might we reconfigure these so that they are more like initial sets of resources organised around difficult ideas that we face as university educators? How do we communicate that intent and encourage a mode of engagement with them that is more akin to ‘hacking’ than consumption? can aspects of the syllabus be participant driven? one idea that occurred to me as we talked was of playing with the current timetabling in order to facilitate more participant engagement and potential to generate participant relevant content. Folks did find useful the clear signposting (and if you read my #rhizo15 story previously you know how attached I am to signposting) of key texts/resources that were organised around difficult or challenging ideas. Rather than being tied to the fortnightly 3 hour workshop (at the end of busy days) why not have the participants work in cross-disciplinary groups (like action learning sets) to work on the key texts and find their own texts, all the time focusing on the critical questions for practice this reading produces (semester 1 is more theory focused while semester 2 is more practice focused); and have shorter workshops that model many of the ideas we promote. I think this is about pushing my interest in practice theory further to see how it can reconfigure the current approach. It is also about playing with the potential for learning to come out of the connections folks make within the course. making emergent objectives explicit: while we will have learning objectives, the reality is that folks operate with their own emergent objectives. They are motivated differently to participate in the course, this motivation often changing over time, and in relation to different aspects of the course. I make the assumption that they are all strategic learners. So why not make emergent objectives an explicit structure within the course? This would be transient, and would help them see their own students differently, more positively. Emergent objectives could become points for reflecting on what the course should be dealing with, what the difficult ideas and issues are, and therefore the content required. disrupting my role as obligatory point of passage: and how can I dislodge myself as the obligatory point of passage, the ultimate point of authority? I have tried to break this down a little already by sharing with them my own critical reflections on the course (see here and here for examples). But by constraining the power to archive materials in the institutional VLE a clear hierarchy is established. I will not pretend that I am removing the hierarchy since I am after all a final arbiter, the one who, institutionally, is responsible for assessment – this Sian Bayne’s struggle to institute smooth spaces within striated institutions. But this can be disrupted by distributing the curating role across as many participants as possible through the use of social bookmarking to share resources (as well as the VLE). Also, could we introduce aspects of peer review? What have I done here? I think I have, in the doing of this post, identified an emergent objective – that is the way my participation in #rhizo15 can feed back into my thinking about my own practice as an educator; working with the play of smooth and striated space. But also, it is subjective in that it speaks to how I want to constitute my self as practitioner – what kind of educator can I be? I have just watched a video of @davecormier where he uses the metaphor of the ‘weed’ as an alternative to the dominant, normative models of curriculum. In the normative idea of curriculum, curricula ideas (a mix of ontology and epistemology) are reduced to content (syllabus), and learning construed as a linear path from ignorant to knowledgeable, where the teacher is the one who knows. This normative idea is reinforced through the technology of the Learning Objective. Having just taught a class on LOs and got the participants to re-work their courses in light of this I fell upon a different idea, that of Emergent Outcomes. Now, I know why Biggs has developed the idea of learning objectives – its intent was to design in equity and not let teachers privilege those who already ‘get it’ and neglect those who don’t. But it all too readily becomes a closed circuit – as many participants in my class argued. And that’s when I came across emergent outcomes. Emergent outcomes are conducive, I feel, to the connectivist approach and rhizomatic learning in that knowledge and learning are seen to emerge from the context of learning or practice. As is becoming clear to me from exchanges with folks who were on #rhizo14 learning objectives are multiple, located (initially) in each individual (and we know from experience that despite setting LOs for our courses all students will have their own and develop new ones as they go through). So, as I slowly lean in towards #rhizo15 my objectives are loose. I have a recent experience that taught me to be open and resist the desire to place too much apparent order on events. For a moment, during the recent #TJC15 (Twitter Journal Club) my attention was taken away from the buzz of tweets. On turning back towards the dashboard I realised that I was ‘lost’. But lost implied that perhaps I SHOULD have control. But, following Jacque Ranciere, what if I simply enacted openness, rhizomatic thinking, and waited to see what happened? I stepped back, I waited, and a cluster of words rose up to capture my attention. Let’s hope I can maintain such equanimity. The pre-rhizo15 cMOOC chatter builds up and a sense of unease wraps itself around me. This is another step into the digital scholar space, the #connectedlearning space, the #connectivist space that I have ventured into over the past few (only a few?) months, and which is having a transformative effect on my practice and conceptualisation of my professional identity. Already there are some good pointers as to how to approach this different mode of educational engagement. Dave Cormier (is he the instigator/facilitator?) has blogged and produced a neat video on ‘managing’ engagement with #rhizo15 and cMOOCs more generally. Yet there is still that unease, that nervousness, that “maybe I’ll leave this one till next year” feeling. I know this anxiety well, and the aversion to unfamiliar situations well. In my everyday teaching, which is overwhelmingly f-2-f these days I deal with this by building in lots of ‘signposting’ for course participants. I justify this, reasonably, as providing some clarity of direction so that participants can get to grips with the difficult stuff they will encounter. This is reasonable, but I know it is me transferring my own sense of panic in new situations. I take a deep breath and steel myself for the adventure (it will be an adventure won’t it?). So, what’s the source of my unease? The lack of an explicit, GIVEN syllabus and objectives provokes both desire and aversion in almost equal measure. Desire because it is liberating (more on this in a moment). Aversion because my inner voice is screaming: “BUT WHERE’S THE MAP? WON’T YOU GET LOST? WON’T YOU MAKE A FOOL OF YOURSELF BY NOT GETTING THE RULES OF THE GAME?”. And of course, that’ s cMOOCs for you, that’s ‘connectivism’. And yet…and yet am I not also irritated by the (over)abundance of course ‘content’ that yearly I seek to reduce believing, knowing that a richer strain of educational engagement can often emerge when we (learner/teacher participants) are challenged with the invitation/threat of open space? There has been an intuitive understanding of connectivism that has driven me to open my teaching to more uncertainty (or at least less definitiveness), an approach that has sometimes led to conflict. It is an approach that underpinned my more creative days as a community educator/artist where I used drama techniques with adults with intellectual disabilities in creating rich and powerful narratives about their lives where all the content and action came from them, and not a learning objective in site. I have stated that my approach to this uncertain terrain is that of the dérive, a concept that has has guided me over the past year or so professionally and intellectually. It has become something of a truism that we (that is academics) live in a time of intensification of academic labour with its technologies of surveillance such as research assessment exercises, key performance indicators, and metrics of productivity. We are caught up in what Mark Carrigan has referred to as the ‘accelerated academy’ and its toxic and murderous effects. It is this ‘toxic academy’ that I have directed some of my own energy, partly through my blog but more recently through more ‘legitimate’ (?) forms of academic publishing (book chapter under review). In response to this situation some have called for the institution of a slow university that draws on the ethos of the slow food movement. Others, however, have championed forms of open scholarship and open access as alternative or complementary practices. Indeed some initiatives, such as the online journal Hybrid Pedagogy, deliberately situate themselves in this space. the impact of the digital on traditional analogue publishing. I won’t go into these issues in detail. However, there has been growing concern about the dominance of academic publishers over the nature of academic labour, and that this constitutes a privatisation of what should be regarded as a public good. The digital landscape has been seen by some as opening up a new republic of letters, a new way of reconnecting scholarship with its many publics. My own scholarly practice has been impacted positively, in my view, by this more recent idea of a DIGITAL REPUBLIC OF LETTERS. As Edward Said would note, there are many beginnings associated with this turn in my practice. Specifically, I was inspired (and I use that term deliberately) by a number of articles in the LSE’s ‘Impact of Social Sciences’ blog. These articles deal with the practice of continuous publishing. One ‘beginning’ was my reading of Mark Carrigan’s discussion of The Open-Source Academic and the use of participatory media (for instance blogging and twitter). I followed this discussion through two sister articles written by Mark and Pat Lockley. They noted that “We need to have an ongoing and honest conversation about what academic publishing is, what it could be and what it should be.”, drawing attention to the perverse incentives generated by the particular kind of reputational economy that the accelerated academy is producing. In this scenario university managers appear to fetishise metrics of academic productivity, being obsessed with improving their institutions’ relative position in an insular economy. This particular reputational economy is increasingly divorced from the the big issues, and leads to public goods (research knowledge) being locked behind ever expensive paywalls. They then go on to argue that multiple forms of publishing – journals, blogs, twitter, etc. should become the norm if we are serious about public engagement, and could enhance more traditional forms of reputational value. Bonnie Stewart has done some incisive work looking at twitter activity as a measure of impact and contribution in open scholarly networks (which often sit alongside the traditional mode) (and it is important to mention Bonnie’s work here since a brief review of the LSE ‘Impact’ blog shows that men seem to be dominating this discussion in that particular space even though my personal empirical experience is of a dynamic network of women driving much of this forward). But I think there is something beyond the #altmetrics buzz we are getting just now, something that has to do with ethical choices about the kind of academic you want to be. I am struggling with this right now, caught between embracing digital and open scholarship as a strategy of increasing professional presence and public engagement (though the matter of publics is in need of serious deconstruction), and something more akin to #alt-ac. My engagement with the work of Mark Carrigan and Pat Lockley came at a moment (a beginning) where I was reconsidering my place in academia, indeed whether I wanted to remain in it all. A good colleague of mine had been gently nudging me to venture further into the digital and open scholarship space, and to build on my existing blog. While my blog had initially been developed with a vague idea of the potential of participatory media as a platform for reflection, this was to be further and more deliberately developed later in response to my embracing of the digital identity. This signalled a desire to refashion my professional identity and practice, to explore the opportunities afforded by ‘digital’, ’openness’, ‘connectedness’. In part this is a continuation of traditional modes of academic endeavour. My sister blog ‘The Broken Academic’ is a vehicle for rehearsing ideas and writing leading to academic publication. And in my main blog I am currently trying to tease out my understanding of various literatures in relation to aspects of learning and teaching in higher education, with the intent of publishing. But I have taken to heart the ethic of continuous publishing as also being about uncovering the artfulness of academic writing, of its created sense; to capture in blog posts some of the messiness, the experimentation, so that it does not appear as ready-formed, as rationally produced, as the mere outcome of a recipe that one simply needs to follow. In this it is a refashioning of the self and a framing of ‘engagement’ as making oneself vulnerable, and so undermining the potential mantle of ‘expert’. Is this, though, a kind of ‘academic suicide’, a denial of the possibility of being an ‘academic’? And this is why it is more than enhancing the traditional form of academic publishing (while not, as yet, refusing that offer completely). Jacque Ranciere is a fantom here, present not in his corporeal person but in his evocation of a spirit – the spirit that says “Enact openness and see what happens”. I am seeing what happens, and what ‘openness’ might mean. It is taking on interesting forms. Hybrid Pedagogy/@HybridPed; @LSEImpactBlog; #TJC15 (via Laura Gogia); and now #rhizo15. Now that most of my teaching has become f-2-f (having been distance/blended for so long), I find myself embedded in conversations about hybrid/connected/rhizomatic learning. And although my concerns are with digital and open scholarship the crossover conversations are stimulating, push me beyond the familiar and habitual, push me into uncomfortable (but enriching) liminal spaces. I had imagined academia as a place where we regularly engaged in stimulating intellectual discussion, where, when one was teaching there would be pedagogic debate. I never believed that this would happen all of the time. But I had worked in spaces that on the surface appeared to share similar creative impulses (in community arts and education). In those spaces debates/discussions/considerations of principle, of ideas, of pedagogy were central to what we did – TO OUR DAILY PRACTICE, TO OUR DOING. Approaching 20 years in academia, in the company of the folks, the concepts, and the networks above, I find myself in that kind of stimulating arena, of being daily tested/attracted/disgruntled. BUT much of my normative/paid ‘academic’ doing is dominated by timetabling, meeting committee deadlines, instrumental demands around introducing modules rather than why we are doing it, what does it mean for teaching or for learning (and so for who we are or could be as academics). Academic publishing and conferences are seldom experienced as invigorating but as enervating. So, the discussions of continuous publishing speak, to me, of where we experience the kinds of discussion that academia should have, the spaces where we engage with people and ideas and practices that place us in liminal spaces, and therefore powerful learning. Recently I had the pleasure of observing a pharmacology lab practical. As a neophyte academic developer I felt that it was important to familiarise myself with what ‘teaching’ meant in different disciplines, and so not rely solely on my own disciplinary perspective and theory. And this is where pharmacology comes in. My own academic background is in education, and more specifically the sociology of education, and in recent years in the study of higher education. Although my move into academic development is requiring a re-forming of my structure of knowledge and practice, I am still operating in familiar landscapes. Recognising that many of my colleagues who participate in our courses do not approach this domain with familiarity – of concepts, language, genre of writing, etc., I wanted to put myself in situations where I had to struggle to become familiar. And so, I found myself in a crowded chemistry laboratory, a guest of the pharmacology department. As I stood there observing the activity I found myself making mental notes that related to two sets of literature that I had been engaging with – practice theory & posthumanism. I have written previously about my interest in practice theory and how this could inform academic development. So I was intrigued about how knowledge and learning was embedded in and across the varied practices the students were engaged in, and how this worked against a view of learning that placed undue attention on the purely cognitive. Simultaneously I was taken with the ‘dance of agency‘ between students and the non-human – the way we might understand how ‘doing’ science may be ‘unthinkable’ without also considering the active role of the apparatus the students engaged with and the chemical compounds they relied upon in the lab activity. 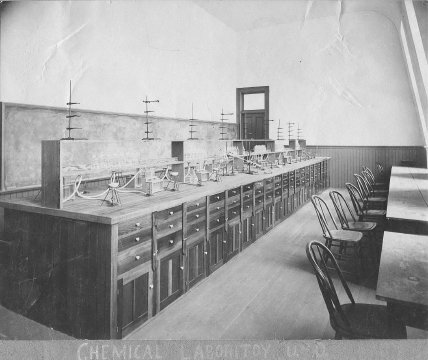 That is, the way the students’ knowing and learning was essentially mediated by and entangled with apparatus, technology and chemical compounds. As I observed the way pairs of students sought to align each other and align themselves with the apparatus, technology and chemicals, an idea slowly emerged. And this idea is taking the form of some ‘continuous publishing‘ whereby I will use this blog to develop and rehearse my thinking with the intention of writing an article over the coming weeks. I begin by sharing with you some initial notes from my research journal. My approach in this paper is ‘posthumanist’ and ’emergent’ in orientation. As such it differs in emphasis to more traditional, humanist accounts of learning in higher education. It touches directly on constructivist theories of learning which are distinctly humanist. As I will argue, my approach does not discount the importance of human agency in the learning process, but it does displace such agency as the final point of analytical reference. Instead, I extend constructivist understandings so that we consider the way human actors, processes, concepts, and non-human materials are intimately related. I argue that understanding, knowing and learning are effects of this entanglement of human, discursive and non-human. In doing this I am deeply influenced by the practice turn in social theory, especially the idea of knowledge as embedded in practice. Consequently, learning is viewed performatively, as an emergent quality, as something that emerges from practice and is not exterior to it. Over the coming days I attempt to clarify my understanding of the two main literatures of posthumanism (as related to science and learning) and practice theory. The entries will, of necessity, be disjointed, provisional, EMERGENT. Love is not something you would immediately associate with an academic conference. For all their vigour they can also be lonely and brutal places, which is why I have been careful in deciding where, when, and with whom I want to congregate. Below is a ‘non-report’ from a different kind of conference experience, and takes the form of a piece of ‘flash fiction‘ written during an 8 minute window in a workshop run by Shauna Gilligan (who you can find here and here – depending on which identification suits you). This was at the 2nd Irish Narrative Inquiry Conference, held at Maynooth University. I might write something on my experience of the conference but for now I just want to preface the flash fiction with a short observation: rather than a series of monological deliverences, the kind of ‘look at me’ style so redolent of the academic conference, this event (for me) was more akin to community building, of nurturing existing connections, found connections, renewed connections. Sure, there was a certain absence of intellectual interrogation, but that’s fine as such conversations can occur after the event, in more negotiated spaces. It was a sharing that, in conversations in the conference ‘between spaces’, allowed folks to reflect there (and then and then and later again) without posture. It was a moment outside the managed CV or the managerial strategic alignment to institutional objectives. And neither was it about boundary setting and gateways. There was a sense of free roaming – free range academia? I think I hadn’t quite noticed it, Spring. The blossom on the cherry tree caught my eye as I made my early morning coffee. How you worried over that tree, the westerly winds blowing in from the sea. You would rush to the kitchen window and just smile quietly when you saw the pink and white bear up. And me? The tree was just there; a feature; but easily ignored as I busied myself on whatever project I had in mind – and it usually was IN MY MIND. How I neglected the delicate blossom; how I failed to catch the coming storm; how I failed to run to the kitchen and check on this beautiful thing. I sip my coffee and think on all I have neglected and how I am left OUT OF MY MIND.